Lawsuit is a procedure of solving any legal problem, which cannot be solved otherwise. It does not need to be filed only when anybody has to take revenge or have any monetary issues, it can be emotional also. As far as the problem is legitimate, which cannot be solved by any other methods, it is good to file a lawsuit. It is a medium of getting justice in a legal way using our fundamental rights that are stated in our constitution. Judiciary is an independent body that is not guided by other two government bodies. Citizens of India can challenge the injustice done using a lawsuit. Firstly, we should take care that lawsuit should be the last option, not the first. Every possible effort should be made to solve the problem before the involvement of law. 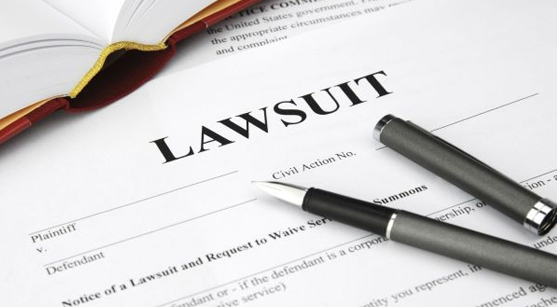 When we are sure to sue, then the first step is to file a written complaint, which is known in technical terms as “plaint.” The person who is filing the case is termed as “plaintiff” and the one against whom allegations are imposed is the defendant. According to the Limitation Act, there is a prescribed time limit for filing a lawsuit. It should be typed copy. Declaration should be there in a suit by the plaintiff. Although the case can be preceded in the desired court by the plaintiff itself, but due to lack of knowledge, it is always better to hire an advocate. Through a document named “vakalatnama,” the plaintiff allows the advocate to represent the lawsuit on their behalf. This is an agreement between the advocate and the plaintiff, which includes conditions like advocate is not responsible for the decision of the court, the plaintiff will be responsible for all the expenses, advocate has the right to take his own decision while proceedings in the court of law, etc. This document is attached in last page of the lawsuit. The plaintiff should be cautious before signing any agreement with the defendant before or after filing a lawsuit. This can weaken the case as their can certain clause, which can be against the plaintiff. The suit should be well read and discussed before filing to achieve victory. The plaintiff has to be well prepared for the decision as it is either victory or defeat. In the Indian judiciary, there is a provision for appellate jurisdiction where the plaintiff can appeal to the higher court of law if not satisfied with the judgment of the lower court. Advocate helps in strengthening the case by taking care of legal technicalities. He uses his knowledge in a court of law unlike the plaintiff who is unaware of the legal proceedings. In some cases, he also acts as a mediator between the plaintiff and the defendant and tries to resolve the conflict by some negotiation. As a representative of the plaintiff, he is responsible for his lawsuit in the court of law. Hence, it is very important that you hire a reliable advocate. It can make or break your case. Also, always never pick an advocate based on price. It is likely that a bad advocate will cost you far more than a good advocate even if he charges more.